Using student bloggers helped get more soon-to-be doctors excited about the company’s product. Soon-to-be doctors and veterinarians have a lot of choices when it comes to health resources. The Merck Manual and The Merck Veterinary Manual wanted to make sure students were still seeing them as a source of information. 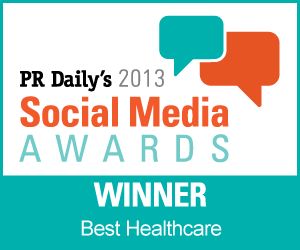 We award Merck the prize for Best Use of Social Media for Health Care in PR Daily’s 2013 Social Media Awards because it remained true to its product, but let people know about it with social media. The Merck Manual is accessible online for free and for purchase on a mobile app, but many medical students didn’t know about this. On the veterinary side, The Merck Veterinary Manual continues to be the go-to resource for veterinary students, but many were not aware that the publication is accessible online, and its brand recognition could always be stronger, according to the entry. Additionally, The Merck Manuals have seen a drop in traffic to their online content as the sites aim to keep up with Google’s algorithm changes. Merck hired Netplus, an interactive agency, to make its manuals more engaging. It launched two student-authored blog sites, Merck Manual Medical Student Stories and Merck Manual Veterinary Student Stories. It recruited nine medical students and nine veterinary students to blog on behalf of The Merck Manuals, serving as student ambassadors for the publications to build brand awareness among the demographic, help in SEO efforts, and grow Web traffic, according to the entry.